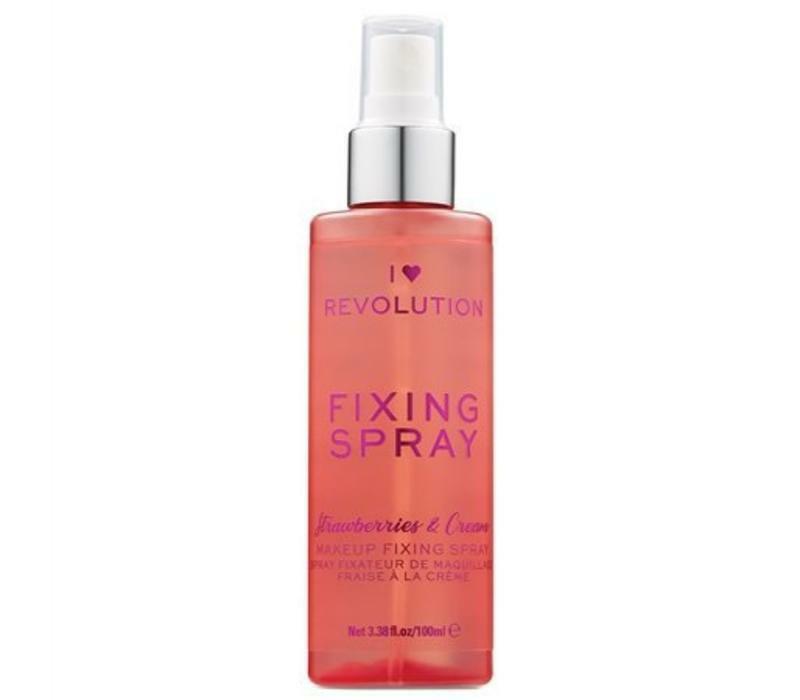 This fixing spray ensures that your make up stays perfect all day long, ideal! Add the spray as the final step of your make-up routine and you do not have to worry about your make-up look the rest of the day! 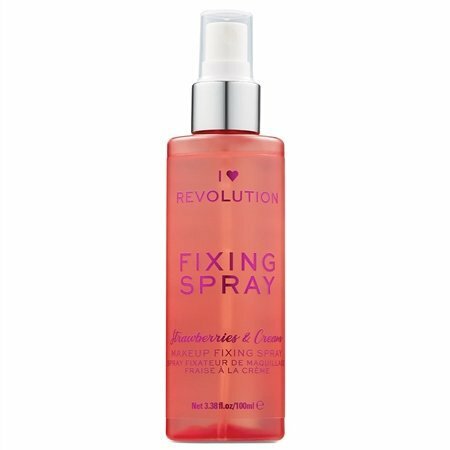 With the I Heart Revolution Fixing Spray Strawberries & Cream you make sure your make up stays perfect all day long, ideal! Add the spray as the last step of your make up routine and you don't have to worry about your make up look anymore for the rest of the day. The fixing spray has a light texure, hydrates your skin and smells like strawberries. Do you want more reasons why this fixing spray must not be missing from your stash? That's possible! This fixing spray ensures a fresh dewy finish! Ensures that your make up stays on perfectly all day long. Is the last step of your make up routine. Provides a fresh dewy finish. Keep the bottle at about 20-23cm. away from your face. Close your eyes and apply the fixing spray with zigzag movements. Aqua, Alcohol Denat., Propylene Glycol, Benzyl Alcohol, Amp-Acrylates/Allyl Methacrylate Copolymer, Parfum, Dehydroacetic Acid, PEG-40 Hydrogenated Castor Oil, Tocopheryl Acetate, Aesculus Hippocastanum Seed Extract, Aloe Barbadensis Leaf Juice, Retinyl Palmitate, Helianthus Annuus Seed Oil, Panthenol, Sorbitol, Linseed Acid, Sodium Benzoate, Linalool, Tocopherol.